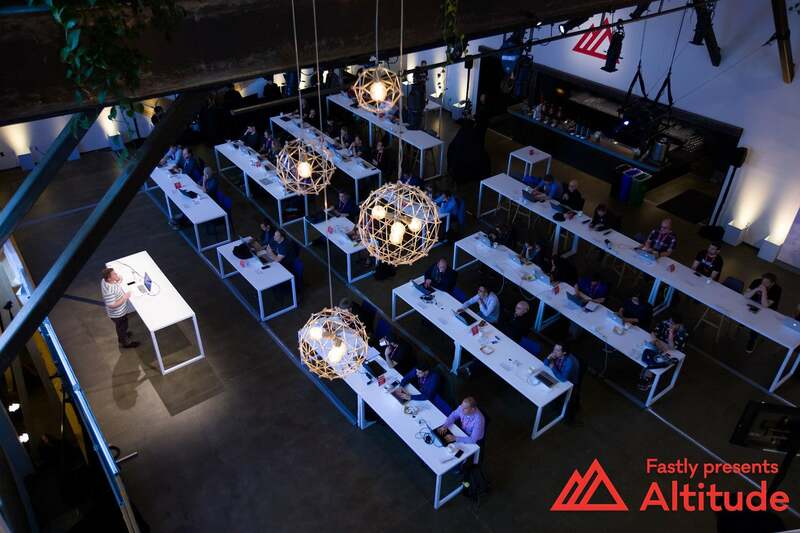 Altitude SF 2017 featured hands-on trainings and talks from industry leaders like Reddit, the ACLU, Slack, TED, and more. We explored the future of edge delivery, heard about emerging trends in cloud infrastructure and DevOps, and tackled complex problems in cloud security. You can view photos from the event here, check out speaker slides here, and watch session videos here. Read on for our recap of the event. On June 28, we gathered for a full day of hands-on trainings. Creating a CI/CD pipeline — a walk through of the creation of consistent, easily reproducible services, for overall better visibility and actionability — with Fastly’s Patrick Hamann and HashiCorp’s Clint Shryock (slides & video coming soon). How to increase your cache hit ratio (CHR) with Léon Brocard and Paolo Alvardo (including some helpful metaphors for grasping the implications of CHR) (slides & video). A deep dive into load balancing with Chris Buckley, with key tips for multi-cloud load balancing and microservice routing (slides & video). How to model and mitigate threats, including how to detect and prevent attacks in the wild, with Jonathan Foote and Jose Nazario (slides & video). Debugging your VCL, with Fastly veterans Cassandra Dixon and Steven Chuob on some of the most common customer issues we see, including why things aren’t caching, misconfigured origins, and other VCL snafus (slides & video). 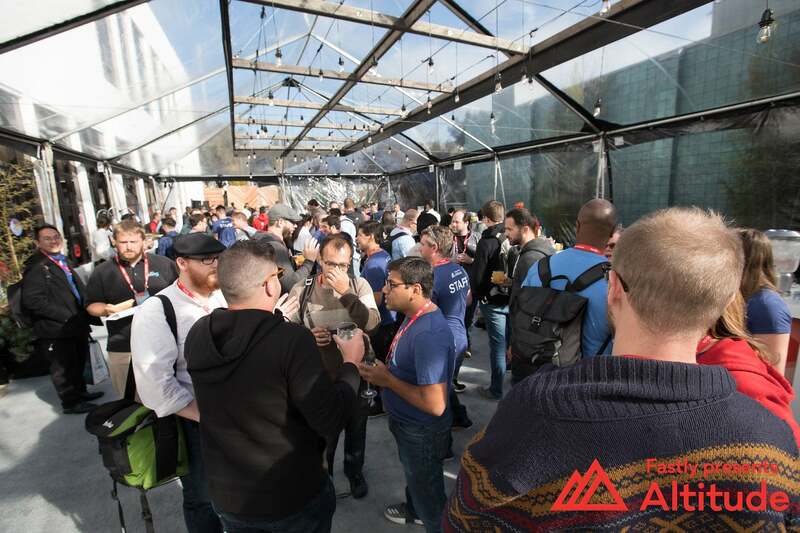 Logging at the edge with Fastly’s Chris Jackel and Google’s Mehran Nazir, including what to log, how to set up endpoints, and a foray into application-less edge logging (slides & video). The ACLU’s Daniel Kahn Gillmor on the unique role the CDN can play in protecting user privacy, and how — as infrastructure continues to change and evolve — we all need to act as stewards of user data. Fastly’s Andrew Betts with clever tips for making use of Fastly’s edge cloud platform, including implementing service workers and HTTP/2 server push, and caching progressive web apps (PWAs). Reddit’s Daniel Ellis on how they built and scaled r/place — Reddit’s real-time April Fools’ project, on which 1.1 million unique users placed 16.5 million tiles over the course of 72 hours. A fireside chat with Julia Grace, Director of Infrastructure at Slack, covering how understanding performance on the front end helped Slack build a backend infrastructure that could better parse, manage, and send data (including the tens of thousands of message Slack users send every minute). Advanced VCL tricks (including key tips for setting up shielding and clustering) from Fastly’s Rogier “Doc” Mulhuijzen. HashiCorp CTO Armon Dadgar on aiming for operational simplicity with their application scheduler. Google Chrome’s Alex Russell on the PRPL pattern. Google’s Jana Iyengar on QUIC, the low latency, secure transport for HTTP. The benefits of image optimization at the edge with Fastly’s Ines Sombra and Ed Thurgood (including a demo of Fastly’s Image Optimizer enhancing important pictures of pugs). We heard war stories from customers, including TED’s Dan Russell, and BuzzFeed’s Srivatsa Ray on deploying a microservice architecture. Fastly VP of Infrastructure Tom Daly gave us the latest updates on network growth, in our ongoing effort to help customers deliver fast, secure, and scalable experiences. CTO Tyler McMullen closed out Altitude with new ways to think about modern development. We kept everyone refreshed and well-fed, with performance-themed cocktails, POPsicles, and a Korean-style tater tot bar in Terra’s courtyard. A big thank you to to our speakers and attendees who helped make this event a resounding success! You can see more photos here, check out speaker slides here, and find videos here. Stay tuned for more Altitude news — including in-depth session recaps — and 2018 events in San Francisco, New York, and London.